Ms. Lori Lightfoot has made history by becoming the firstever gay African-American woman to be elected as the mayor of the third largest city in the United States on Tuesday (April 2). Residents of Chicago entrusted the former federal prosecutor with the responsibility of handling gun violence and economic inequality issues. This new development has come as a surprise to many since Ms. Lori Lightfoot has never held any other elected office. Ms. Lori Lightfoot defeated her closest opponent one Ms. Toni Preckwinkle who also happens to be an African-American in a lopsided victory be getting 76% of the total votes. Since 1837, Chicago has only had one female and one black mayor. Ms. Lightfoot has, therefore, gone against all odds by re-writing history to become the first ever openly gay Chicago mayor and the first African American woman to have ever held the post. Her rise to the top of Chicago government is considered to be a stunning development since Chicagoelections are mostly swayed by party politics and insider deals.Ms. Preckwinkle, the first runners up in the elections had previously held different local elected offices. This is believed to have cost her the postin an election where voters wanted to change those in City Hall.Ms. Lightfoot and Ms. Preckwinkle were the only two contenders left in the run offs after 12 other candidates failed to gather support across the city. Most of the residents in Chicago are expecting only the best from the newly elected as per reports from Chicago’s media houses. Ms. Lightfoot now has a hard task ahead after promising to clean up the city government and reducing economic inequality during her campaigns. In addition to this, she has also promised to tackle crime and homelessness, provide affordable housing and boosting the oversight of Chicago’s police department.Ms. 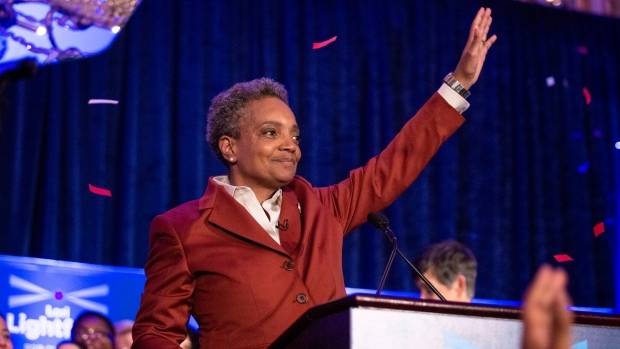 Lightfoot will now have to make sure that every promise is realized if she is to go down as the best openly gay African-American woman Chicago mayor ever.